2016 is a year full of masterpieces. Almost over now, I decided to make a long list of the ones that impacted me the most. All of these games I enjoyed, even if for a limited amount of time or after a while. This is year in review: Personal picks! Disclaimer (Because even here we apparently need one): This blog was prepared or accomplished in my personal capacity. The opinions, stands and preferences expressed in this article are my own and do not reflect the view of general public or this community. 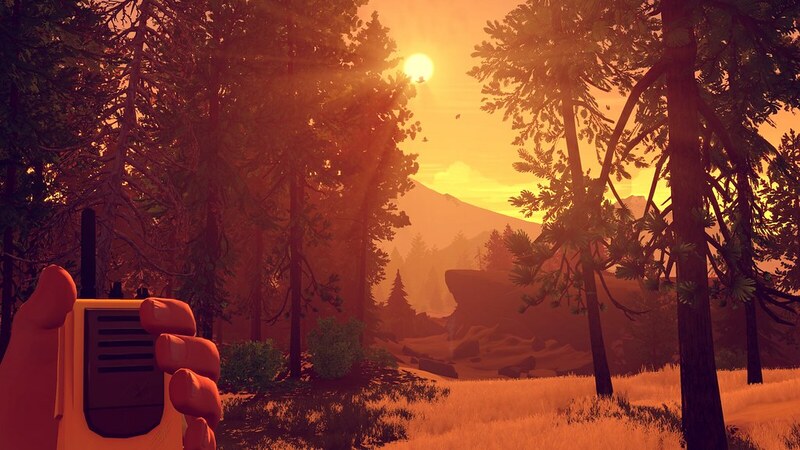 Let's make it clear right at the start that The Witness is my 2nd most despised game this year. But at the same time it is also one of the most beautiful game of 2016 for me. However, the nice visuals and great environment are where I stop praising this game. While the puzzles are entertaining at first and they escalate nicely, they soon become boring and repetitive. It often comes to the point where the puzzles are more annoying than challenging. It is also bothersome that you spend most of this game staring at square net panels than studying the surroundings. One of the biggest problems I have with this game is with the title. After finishing the game, I still feel like I missed the point. There was no event, or action that would make it special to observe it. It would appear that whatever transpired on the island, playable character was to late to actually witness the thing it's supposed to. Maybe the point was that you will be the only one ever to see this island but if that was the case, it was by far not enough elaborated to offer any satisfaction with understanding it. And while lack of soundtrack is understandable, I would feel better with as smooth tone accompanying me through the game. But the biggest grudge I have with this game is the ending. By the point where I was only solving puzzles for the sake of finishing the game and not actually enjoying it, the only thing that could in any measure save this game for me, was the ending. I was expecting some sort of enlightenment, judging from all the clues I got from exploring the island. But all I got was disappointment and frustration. Spoiler alert: You just stand there and watch all hard work you put into this game and the puzzles getting erased. But now that I think back, the game left some good impressions. The reason why it is one of my picks is because, the game achieved that I will remember it for quite some time. Both for its positive and negative things. While the ending definitely left a sour taste, I enjoyed a great portion of this game, making it worth trying, especially if you're into puzzles. I spent some quality time with this game and while not revolutionary, the things it does are great. Starting of with character creator, it offers so many otions to customise your character. The visuals are outstanding and you can capture many nice screenshots while jumping and gliding through the expanse of gorgeous environment. The combat is the best thing in the game, as it takes clasic MMO style controls and makes it more active and responsive. This makes PvP extremely intense and dungeons and raids really exciting as you try to combo moves with other players. The item and especially weapon upgrades are also in the highest tier of the genre. Not everything is perfect though. The story is at moments dull and predictable and there is very little depth in characters. Both are also presented in an inferior voiceacting (at least the english one) and cliche script. The crafting is also unnecesarily complicated and more limited than it reveals at first. Blade and soul therefore excels well at its genre and is capable of capturing its audience well. It's worth the time because of combat and the sight the game offers. However, it still falls short at the elements where MMOs don't excel anyway. Blade and soul is a game that plays on its strengths which, unortunately, can't be said for too many of them. And that is why it works. Until the release of Dark souls 3, my favorite game of the year. The story is deep and presented in an intense way. The characters are perfectly designed and capable to present the story through fitting dialogues. The dark atmosphere stacks upon the already rich narrative that is additionally supported with a soundtrack that nicely expresses the environment in which the characters have found themselves in. The decisions you have to make can be there just to fill the dead air, lift a mood or make hard choices that can come full circle at any point in the game. So while the characters seem to fit an obvious role, they never feel fake, making the connection between the story and the cast always active and engaging. The island itself is interesting, but never diverts attention from the people. The additional exploration is not required, but is still rewarding, filling the context of the situation. The aesthetics also make sure that when there is a hole in story, you won't feel bored, as it offers nice distraction from the talking. That does not make it a perfect game however. The themes of a group of teenagers stuck on an abandoned mysterious island and later time travel, are older than any of us. For people who had already been exposed to these topics in great measure, it may be hard to sink into the game. 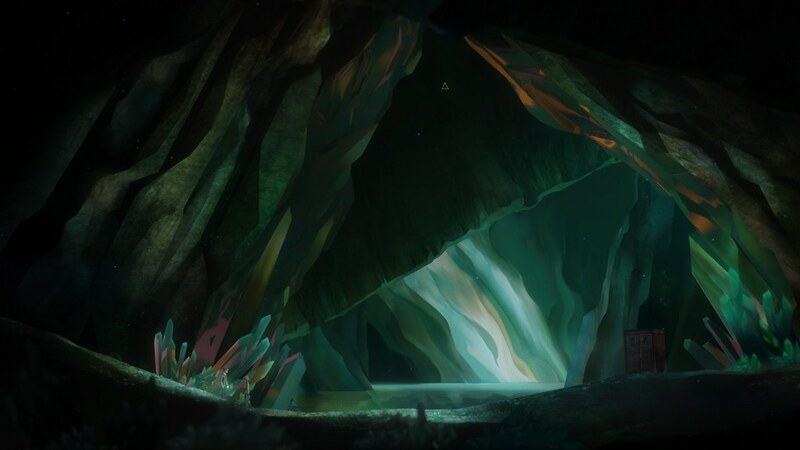 Oxenfree is a game where you have the ability to not only observe, but to shape the story... in more ways than one. Therefore making every moment hanging out with the characters an enjoyable experience. I was heavily debating whether this game should make it to my personal picks. But you know what? This game deserves it. While it didn't wow or really impress me, the game has ideas. 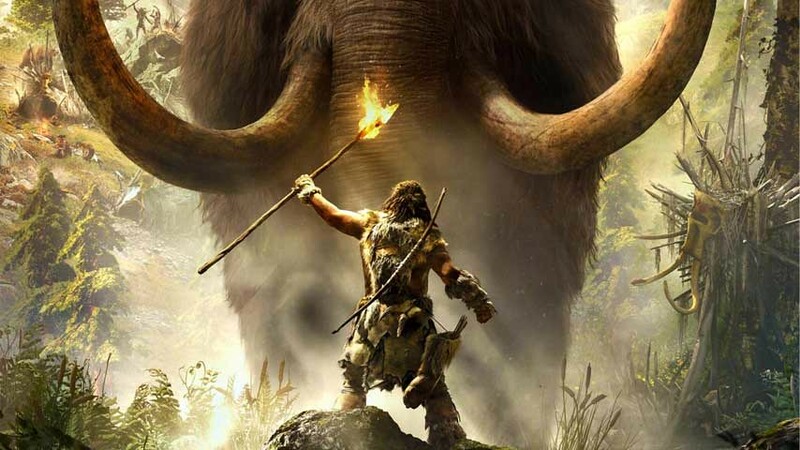 Sure it has some classic elements of Far cry and its genre, but it tries to implement something new to an already tested method, which I usually dislike, but here it clicks good enough to appreciate it. The characters aren't really anything special, but somehow I can appreciate them. Same with the story. Though they speak in a foreign language, the subtitled dialogue is usually good. Though the weapon choice is not anything to brag about, I can understand it in a context of that era and respect it. And the abilities to have animal companions and upgrade your base are nice bonuses to an already solid game, overall giving enough features to always do something engaging enough. Bottom line, the game has enough in it to meet, even if barely, the standards of me remembering it fondly for quite some time. I probably won't replay it for quite some time, but I would still recommend it. And thank you Huber for recommending it to me. One of the most beautiful game of this month. From the start you are able to connect with the protagonist through a little notebook that is your loyal companion. The dialogue gives characters necessary depth and makes story immersive. Combine that with the beautiful environment, and there there you find enjoyment passing through the same path for a second time. The map itself is large enough though, that it gives you a lot of space to explore, inviting you to unveil all of its mysteries. These special moments can be shot with a camera you find, that rewards you with beautiful screenshots at the end, if you utilise it of course. Camera is not the only interesting thing you find though. The place is scattered with items that you can interact with and will give background to the park and the protagonist. The flow of the story and character development however, separates more and more you get closer to the end. While you reach an impacting conclusion between the two main characters, the story finishes up somewhat predictably and anticlimactic. But even though that leaves a sour taste, it doesn't destroy all the gorgeous things that the game offers. The game is genius in so many ways. I have never played a game before where part of it is to physically quit it. The story has confusing parts, but it's so satisfying, giving you moments of shock and dark atmosphere. Both of these move to the background of the addictive mechanics that is also a part of the narrative. The fusing of gameplay and story is in this way raised on an another level. The levels themselves range from easier ones to the one where one can be frustrated, due to a single mistake death, but it's there where the challenge lies to find the best path in multiple attempts. It really reminds of Dark Souls in this way. Most of the fights require patience and trial by error, but it is so rewarding after finishing them. Following each encounter you peel of each layer of at first vague and innocent story that ends up very impacting. 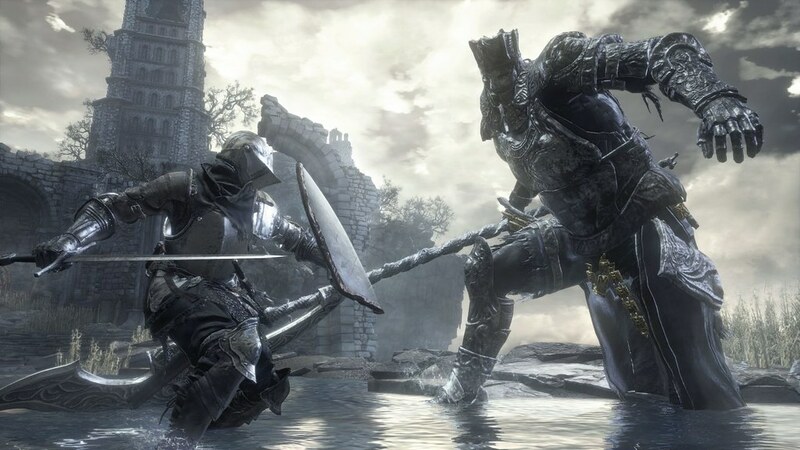 While it doesn't bring such masterful transition between tone and action as Dark souls franchise, there is always a feeling of a looming darker essence surrounding the play. Even during the action packed combat. Nothing that usually bothers me in a game like this is annoying here. Lack of voiceacting and minimalistic visuals are one of the many strengths of this game, making my only problem with it that I want more and not ending so soon. This is the game I played most in March. And while I had good time with it, it also passed away very quickly. The campaign was fun, but I felt no need to replay it after getting certain time I was happy with, even if it wasn't good enough for gold medal or three stars. Multiplayer seemed to fall off relatively soon and the track editor, that I enjoyed the most, felt fun but it was not rewarding. Add on the inability to manage the visibility of the ghosts of previous racers, and you have a game that has too many mistakes to feel great. 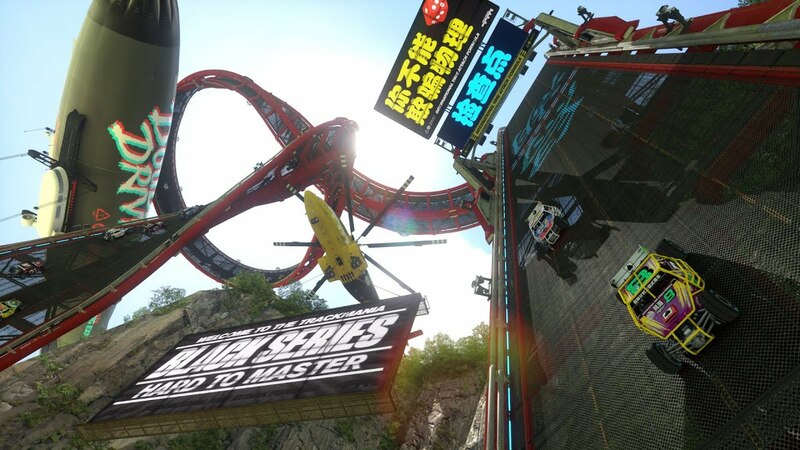 Trackmania turbo wants you to go fast, but the game also went as quickly as it came. The word "engaging" is the last one that I would use to describe this game. While the characters seem interesting at first, I was never worried what will happen to them any big shift that happened to them was seen from afar and while I liked some more than others, all of them seemed expendable. A couple of choices, point of view from antagonist and TV shows between chapters try to deepen connections between the characters, only to end up in an lackluster attempt. Same can be said for story and guns. Any plot twist can be seen from miles away and the guns don't feel special enough to be enjoyable. 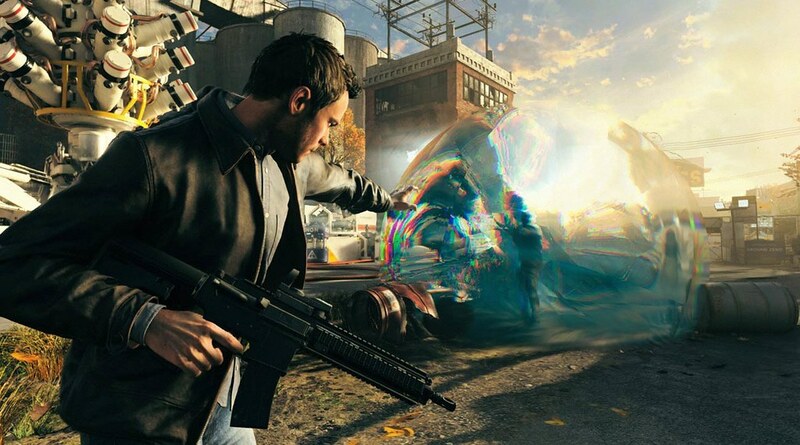 The time powers somewhat enhance combat and the visual effects are really nice, but even so, Quantum break left more to be desired. A worthy game to try, but even more enjoyable to finish. I went into my first entry to the Souls franchise thinking that it was an overhyped, story-lacking game with unfair combat. Oh, how was I wrong. In hindsight, picking dual-wielding class for my first character was not the best idea, but the environment, story and combat all kept me from giving up at the start. Yes it was a struggle, but I soon found out how rewarding the game is. If you're too aggressive, you'll die. If you're too passive, you'll die. All enemies have a particular patterns that you'll have to learn to exploit. And you'll die... a lot. But because of that, every new piece of area you discover, every little crumb of the story you unveil and a new enemy you slay feel so, so rewarding! Weapon diversity and weaknesses of enemies encourage different playstyles, but even sticking to you favorite weapon is viable. Every item you find is a tool to help you survive and every step you make is a path to doom, only to rise and try again. It'll take a lot of tries (and some time to figure out controls if you play with mouse and keyboard) to defeat every next boss, doing so uncovering new diverse area and story hidden in item descriptions. But if you don't give up, Dark souls 3 will give you one of the best gaming experiences ever. Sometimes when shuffling through a game store, you come upon a hidden gem. Fragments of him is such game. An indie walking simulator with a small cast of characters tells a story that touches you deeply. Not much more is required and the game tells it in a beautiful way. That by itself is a risk because if you won't get invested into it, you'll feel like a third wheel for the entirety of it. That being said, for me no other game had deeper and emotional connections between characters. To receive a a point of view a bout a person from within and from others at this degree is a rare quality that makes me appreciate this game even more. 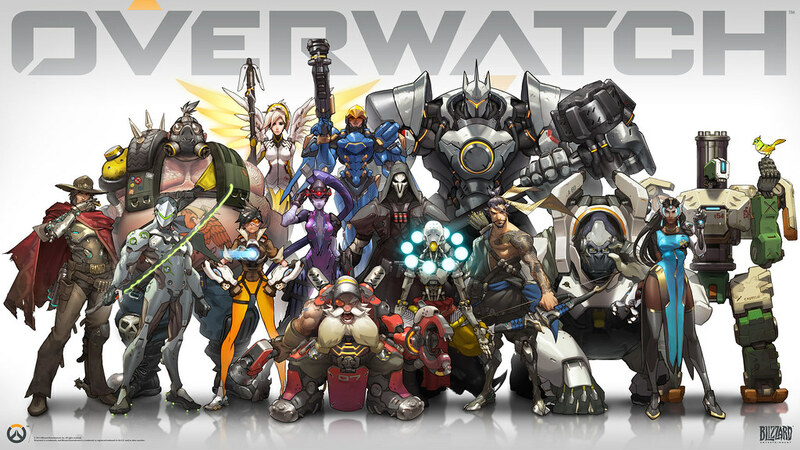 With most utilised pros for a game and yet most unavoidable cons, Overwatch is the most polished game of 2016. Still, the lack of campaign, toxic community and other elements that come with every multiplayer-focused game don't take away from strategy and skill that the game brings to the player. Beside heavy emphasis on teamwork, the attention to details of maps and character themselves is top tier. Due to the latter element, it's a shame that there's no story mode to fully unlock the potential behind all character building and also that a number of heroes is pretty limited, especially considering that not all of them are compatible with your playstyle and that you'll have to adapt to team composition if you want to win. Still, it is probably the easiest shooter from 2016 to get into, and to stay with. The only con of Overwatch is then only wanting more. A game in which I've put most of my time this year (over 100 hours), came with overhyped beginning and disappointing conclusion. While the first couple of hours were indeed enjoyable, the lack of content inevitably surfaced. Gathering resources, upgrading ship and equipment, visiting numerous amazing star systems and travelling toward the center of the universe were very pleasing, but that can only last for so long. For what is worth, No man's sky was the first game for me that seemed to be too big for it's own good. There is only so much things to do and time to invest, before everything becomes bland and repetitive. The foundation update was welcome and needed change that made me revisit and enjoy No man's sky again, this time with freighters and base building among other improvements. The update gives the game features that might've been required since the beginning, but it still invites players to return for another try to finish the cosmic journey. However, a voice of fear is still present: "After I'm done with the update, what then?" Similar to The witness, Virginia frustrated me when I finished it. But in retrospective, the game presented itself in a unique way with the story that while confusing, still touches you. I adore audio elements in games, so when a game earns my respect with no voice-acting, there must be something special about it. The game takes its time to establish and shape the ties of characters and circumstances they find themselves in, which makes resolving them conflicted and somewhat confusing work. If the message of the game is that balancing personal interests and agendas from the outside. Virginia is a roller-coaster where the cart snapping from the track is part of the ride. Have you played A story about my uncle? It's similar to that, only tom deliver so much more so much better. And yet, it's hard to fully describe Valley. Shooting, puzzles, exploration, platforming, story, horror... The game presents everything. Yet instead of the usual "jack of all trades, master of none" style that usually ends up only in an average game, this one balances out all its features to a degree like no other. Add wonderful visuals of nature and lighting that makes screenshots almost necessity and an immersive soundtrack, and you get a mixture of elements where every one of them seems to fall in place perfectly. The story itself might be the weakest of them all. Presented through audiologs, it leaves you wishing for more background and character development. In terms of combat you're never in any real danger and it may be lacking, but the game has other means to keep you playing. Doing so, platforming to your next objective is fun enough to push you to discover next area. The story then develops itself more as a side thing, but it can still surprises you. In the end, the gameplay and story are the ultimate tag-team that switch between themselves when the other seems to be lacking. Whether it's for the mystery or the fun, Valley is definitely worth of your time. 2016 was really rich in shooter genre of games. One such case is Battlefield 1. A first-person shooter set in first World War, Battlefield 1 has little to no errors, excelling in almost every area you can judge such game by. 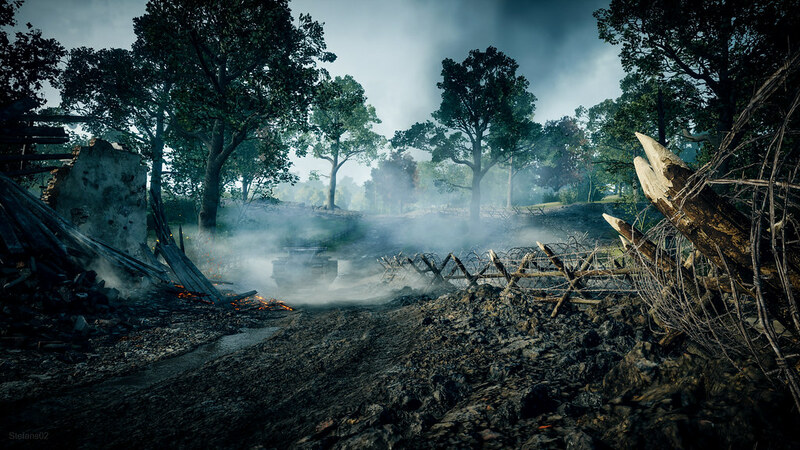 The aesthetics of maps both in campaign and multiplayer is gorgeous, historical accurate and enough diverse to allow a wide variety of strategies to win a match or finish a stage in the campaign, whether it's slow and positional warfare where every exposure is risky, a huge tank offensive of World war 2, or sneaking behind enemy lines. All the playstyles leave you with a feeling that you are progressing or contributing to a team. While you are exposed to all of these possibilities during campaign, the story itself also holds up. In what measure, it really depends on a personal sensitivity of the wars scenery and themes. These themes are what makes the biggest impact, while individual chapters in the campaign are mostly too short to bond with the characters. That being said, no chapter will leave you underwhelmed. If nothing else, you'll be richer with a story of one of the biggest stain on humanity. Realism of these stories should not be underestimated, as it is highly probable that a very close variation happened to someone in real life, from the direct threat of gunshots to a internal battle of morality and ability of a human being to cause harm. The greatest weaknesses may only be found in a slower pace of the multiplayer, leading to really long matches. Weather effects, while adding to the realism and making the game more challenging, sometimes feels unwelcome. However the versatility of weapons and functions you can fill will never make it dull. Alongside add the ability to control giant mechanical war machines, and you've got yourself a well polished and very enjoyable shooter. Like Dark souls 3, this was my first entry to the franchise. And what sweet entry it was. 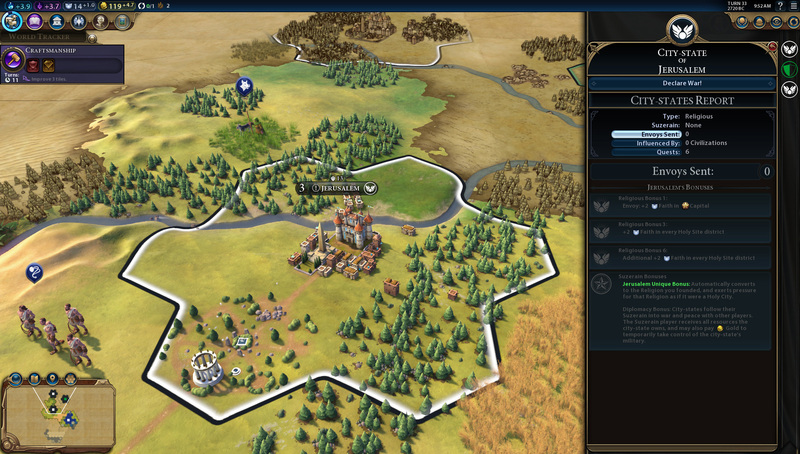 I tend to be very picky when it comes to strategy games, but Civilization 6 impressed me with great visuals that still enable you to recognise and manage everything on the map, The depth of a civilisation progression and the narration of individual achievement. Unless you settle on a remote place, the turn-based system doesn't make it dull, as you have to regularly adapt on what your opponents do and to constantly keep your civilisation's productions on the maximum level. The biggest grudge against Civilization 6 is that you'll probably end most matches earlier than winning them. If played on the standard speed and starting on the earliest era, it will take multiple sessions to win a match, between which you'll probably forget about what you were planning before. Another thing is that, while not hard even for newcomers, it's still challenging to learn utilising all things the UI lets you. After multiple matches, I'm still not sure whether i'm using all tools offered to me. No matter, The good convincingly outweighs the the bad and Civilization 6 is a masterpiece in its genre. If you want to jump into it, now is the time. 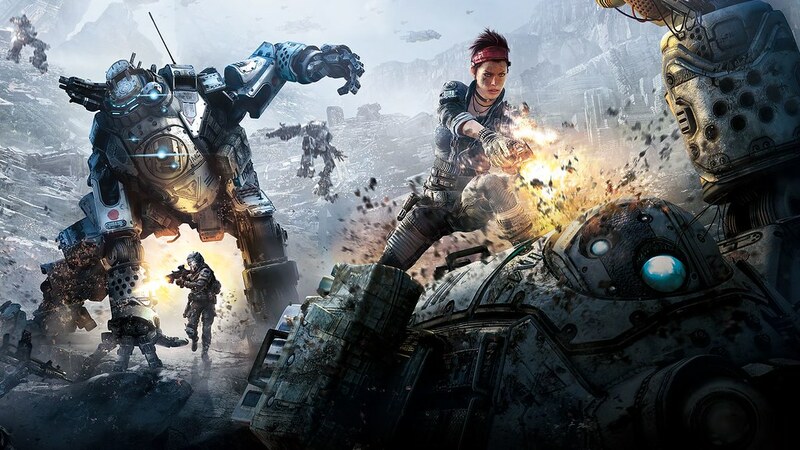 While I cannot praise Battlefield 1 enough, Titanfall 2 is a game that covers even the two weaknesses of it's World war 1 counterpart: Slow paced combat and attachment to characters. it's fast... REALLY fast. The game encourages to constantly move, utilising your kit and environment as much as possible to gain any sort of advantage. The characters themselves are pretty generic, ironically with your titan standing out as the one with most personality. It is this bond between you and the titan that makes the game so impactful. Even if the general direction of the story can be seen from miles, there are still fun puzzles to overcome and challenging opponents to defeat.Summing all this up, while the plot itself was underwhelming, there was not a single moment in the campaign where I would be bored. The multiplayer is even more exciting. the range of customization enables the player to fully fledge out its playstyle, be it with titan, or without. The learning curve is not too steep and it's such joy outdueling an enemy player, or just calling your titan atop of it. The promise of regularly updating it with free maps and other DLC is also very encouraging. And do share what games are you most excited for next year.